If you would rather stay closer to home, you could also visit one of the beautiful cities of the US with cheap Virgin America flights from $39 one way. But if you want to take your significant other to one of the most ancient and romantic cities in the world, you can also get flights to Rome from more cities for $330 and up one way. Book the deal you like before it is gone! 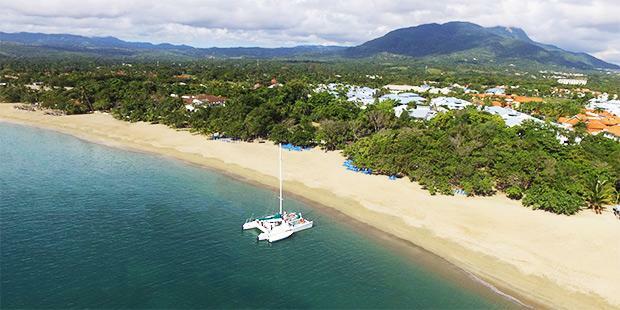 Puerto Plata is one of the best places for a beach getaway in the Dominican Republic. If you get this package, you will have a round-trip flight to Puerto Plata, 4 nights at the Sunscape Puerto Plata resort, 24 hour all inclusive service during your stay and even taxes. Sunscape Puerto Plata is a great all-inclusive resort, where you will get all your meals in great restaurant, all alcoholic and non alcoholic drinks in seven bars, non motorized water sports, land sports, activities, nightly entertainment and excellent service, among many other things. Compare more vacation packages in the Dominican Republic and other places on the Caribbean via the box below and you may find even better deals than we have. Choose some travel sites that you trust, add your travel dates and departure city and then click the button.